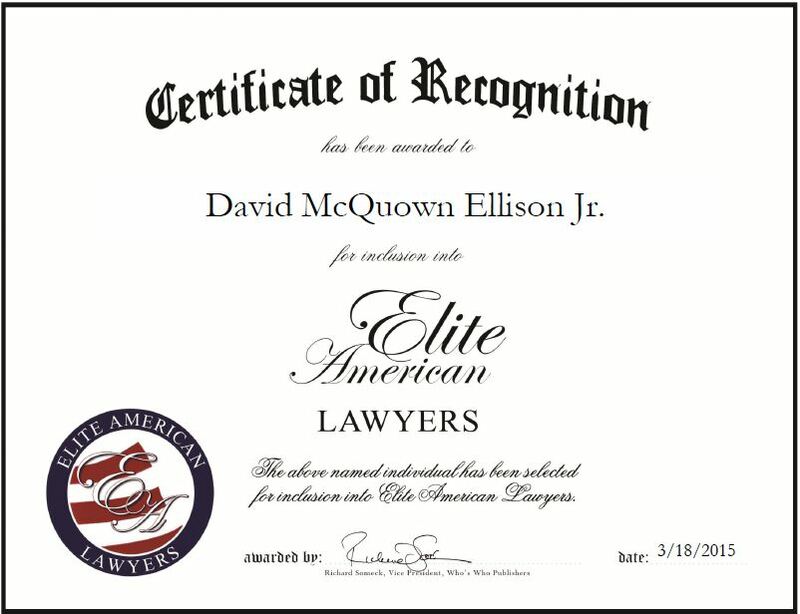 David McQuown Ellison Jr. entered the legal profession 50 years ago because he was inspired by his father, who was also an attorney. After his father passed away before he went to high school, he told his grandmother that he wanted to be a rice farmer like she was, and she told him his father would have wanted him to be a lawyer; so now, he does both. Mr. Ellison focuses his practice on oil and gas cases, lawsuits and general legal matters, and spends most of his days conducting negotiations. He makes sure to provide his clients with the highest quality services and a personalized touch. Mr. Ellison is a bar register of Preeminent Attorneys, and is affiliated with the ABA, Louisiana State Law Institute, Louisiana State Bar Association, and Baton Rouge Bar Association. Although highly accomplish, Mr. Ellison intends to continue serving his clients for many more years. He would also like to cut down on his trial work so he has time to mentor up-and-coming professionals. Contact David McQuown Ellison Jr. This entry was posted in Oil & Gas and tagged attorney, general law, negotiations, preeminent attorney, rice farmer, trial work. Bookmark the permalink.